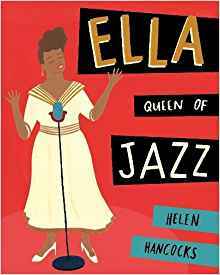 The inspiring, true story of how a remarkable friendship between Ella Fitzgerald and Marilyn Monroe was born – and how they worked together to overcome prejudice and adversity. This is a little known story (at least to me) about how Marilyn Monroe helped get Ella Fitzgerald a booking at an all white night club — and their extraordinary life-long friendship. About the Author/Illustrator: HELEN HANCOCKS is the best-selling author/illustrator of three picture books to date: William and the Missing Masterpiece, William Heads to Hollywood, and Penguin in Peril. She lives and works in the UK.